Canada has terminated a funding agreement for a project aimed at training women to participate in municipal politics in the West Bank following critical comments directed at John Baird by the founder of a Palestinian NGO. The Department of Foreign Affairs, Trade and Development signed a $27,000 contribution agreement with a Ramallah-based NGO known as MIFTAH on Jan. 13, 2015 for the organization to provide training for women involved in municipal politics in the West Bank. One week later, then-foreign minister John Baird arrived in Israel for what would be his final Mideast tour before his sudden resignation on Feb. 3. During his visit, Mr. Baird reiterated the Harper government’s position that the Palestinian Authority was making “a huge mistake” and crossing “a red line” by pursuing war crimes charges against Israel at the International Criminal Court. “‘The red line’ is the impunity that Israel enjoys for its violations and the fact that Israel is enabled by apologists like John Baird to persist with the support of self-appointed advocates who become complicit in these war crimes,” Ms. Ashrawi fired back in a PLO press release on Jan. 20. On Jan. 27, MIFTAH says it received a call from Sidney Fisher, head of the political section for Canada’s Representative Office to the Palestinian Authority, requesting that Ms. Ashrawi give the representative a personal tour of the project. Ms. Feidy said that it’s never been her organization’s policy to write letters of thanks to individual donors. Instead, she writes a letter of recognition in her capacity as CEO that addresses all donors once a project has concluded. She said Ms. Ashrawi refused to write the letter on the grounds that it was not her responsibility as a member of the organization’s board. Two days later, on Jan. 29, Ms. Fisher called MIFTAH to inform them that funding agreement was over. “Further to our telephone conversation, this is to confirm that MIFTAH's contribution agreement with [DFATD], dated 13 January 2015, is hereby terminated. All aspects of the project that have been completed by MIFTAH to the satisfaction of DFATD prior to termination will be paid for by DFATD in accordance with the contribution agreement,” Ms. Fisher wrote in a Feb. 4 email obtained by Embassy. Ms. Feidy said MIFTAH will receive about $10,000 of the funding to cover costs incurred before the agreement was terminated. The project had to be temporarily discontinued until she secured funding to cover the $17,000 shortfall. The funding was made available through the Canada Fund for Local Initiatives, a $14-million fund that provides support for short-term, small-scale projects aimed at democratic, economic and social development abroad. Canada has partnered with MIFTAH on development projects in the past. 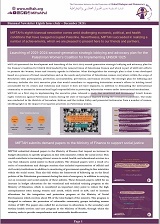 Last year, MIFTAH received funding for a similar project aimed at training women for participation in municipal councils in the West Bank. According to Foreign Affairs, the agreement with MIFTAH was terminated because the organization failed to meet its terms and conditions. Foreign Affairs spokesperson François Lasalle denied that the decision was made because of Ms. Ashrawi’s criticism of Mr. Baird. Embassy obtained a copy of the contribution agreement from MIFTAH and found no mention of mandatory letters of thanks. Only two MIFTAH members are named in the agreement presented to Embassy—CEO Lily Feidy and Hanan Kaoud, the organization’s director of development and communication outreach. Ms. Feidy’s signature appears on the final page along with Canadian representative Katherine Verrier-Fréchette’s. Embassy requested a copy of the same agreement from Foreign Affairs but the department said such agreements are confidential. The copy seen by Embassy stipulates that MIFTAH was to publicize Canada’s contribution to the project by using promotional materials such as logos, emblems and stickers provided by the department. MIFTAH was also required to acknowledge Canada’s contribution in any public references to the project, such as speeches, press releases and advertising. The agreement as presented contains no mention of Ms. Ashrawi or of a personalized letter of recognition addressed to Canada. It does give Foreign Affairs the option of terminating or suspending the contribution agreement at the department’s discretion. “The Palestinians and their institutions are not up for sale, and should not be subjected to extortion. Canada’s decision to end the co-operation agreement is a blatant attempt to extract political concessions in return for economic support for projects,” she stated in another PLO press release on Feb. 5. 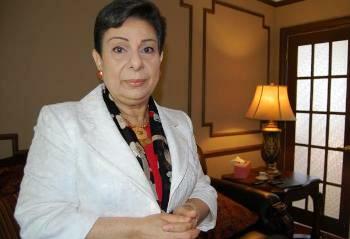 Embassy requested an interview with Ms. Ashrawi, but she was unavailable for comment. She recently appeared in a Manhattan court to give testimony in a lawsuit against the PLO and Palestinian Authority for providing “material support” for terrorist attacks that occurred in Jerusalem between 2002 and 2004. On Feb. 23, the PLO and PA were ordered to compensate American victims and their families $218-million USD. 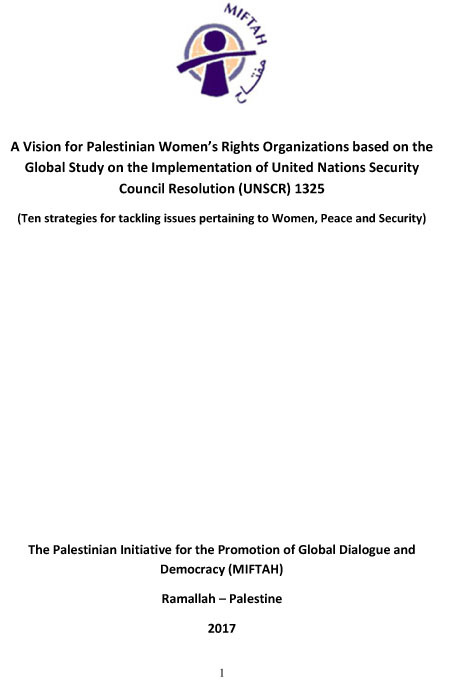 Ms. Ashrawi founded MIFTAH in 1998 and remains chair of the organization’s board of directors, but her name appears nowhere in the 19-page agreement. In recent years she has criticized Canada for its outspoken support for Israel in her capacity as a PLO executive member. Ms. Feidy said she agreed with the accusation that Canada was attempting to “blackmail” the organization. “It was conditional. They’d give us the money if she [wrote the letter]. That wasn’t right. I’d call it blackmail, definitely. If it wasn’t blackmail, why stop the funding?” she said.